Be a Victor for Nature! ONLINE GIFTS BY CREDIT CARD can be made up until 11:59pm on Monday, December 31, 2018 to be counted for tax year 2018. To make your gift online click on the “Donate” button on this page, or visit https://leadersandbest.umich.edu. GIFTS BY CREDIT CARD BY PHONE can be made by calling (888) 518-7888 (toll free) or (734) 647-6179 (local), M-F 9 AM – 4 PM EST, between December 17 and 31, 2018. GIFTS BY CHECK BY MAIL must be postmarked by December 31, 2018. Please note: cash and credit card gifts by mail cannot be accepted after December 14, 2018. 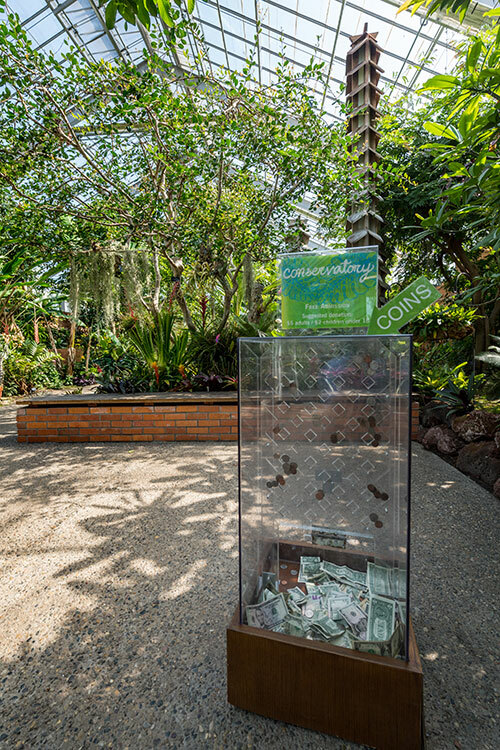 With over 800 acres of outdoor gardens, trail, nature preserves, children’s areas, and the largest University-owned conservatory in the United States, Matthaei Botanical Gardens and Nichols Arboretum (Matthaei-Nichols) relies on the generosity and involvement of donors for all that we do. From membership gifts that provide support for immediate priorities, to major gifts that dramatically further our mission, your gifts make a difference. Matthaei Botanical Gardens and Nichols Arboretum are transformative places where students, faculty and members of the community can connect with and learn from nature. Our land and water ecosystems—home to approximately 20 percent of Michigan’s native flora and to several key endangered plant and wildlife species—are rich in unrealized research and teaching opportunities. With the help of generous supporters who care about the natural world and share our vision, we’re pursuing a strategy of preservation and growth. Join Matthaei Botanical Gardens and Nichols Arboretum and help support our work in environmental education, stewardship, and enjoyment. Membership is a wonderful way to show your support, stay connected, and receive many exclusive benefits. Give a unique gift to celebrate or remember friends and family. Matthaei Botanical Gardens and Nichols Arboretum can help you commemorate a special occasion or remember a loved one with an enduring gift. Create a lasting legacy to a well-loved place through planned giving. Planned giving offers the opportunity to make a larger gift than is possible within one’s lifetime.